Sometimes we think about the meaning of life. 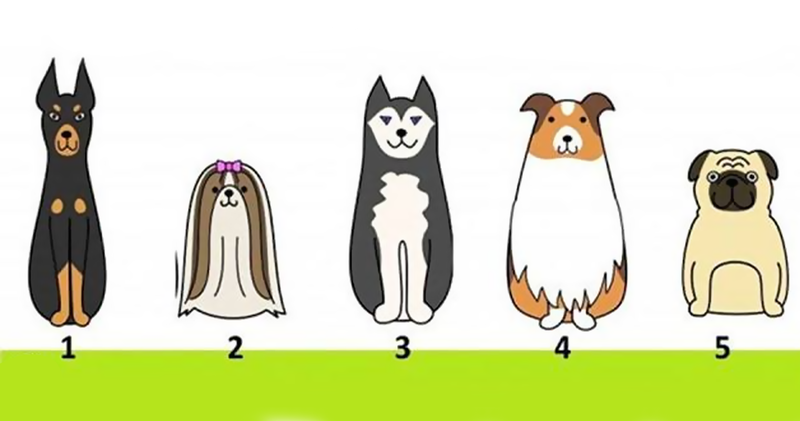 Choose one dog and find out what you value the most in your life! 1. The most important thing in your life is your job. This is exactly the sphere in which you have to improve your skills, experience, and knowledge. Succes is waiting for you! 2. The most important thing for you is your family. You enjoy taking care of your family members. And all you want is a warmth in the family. And for you to know, your family appreciates your love and care. 3. You are a purposeful person. You can do anything to achieve your goals. Your life experience has proved you that you need to focus on your own goals. You won't stop until you get what you want. 4. You value love and friendship the most in this life. You are successful and communicative person. You are addicted to romance! Besides you need a friend to be loyal. You can't stand a fake people. 5. If there's an important thing for you in this life, than it's your princips. That's why you need to ask yourself right questions and return to them from time to time and fix your answers.